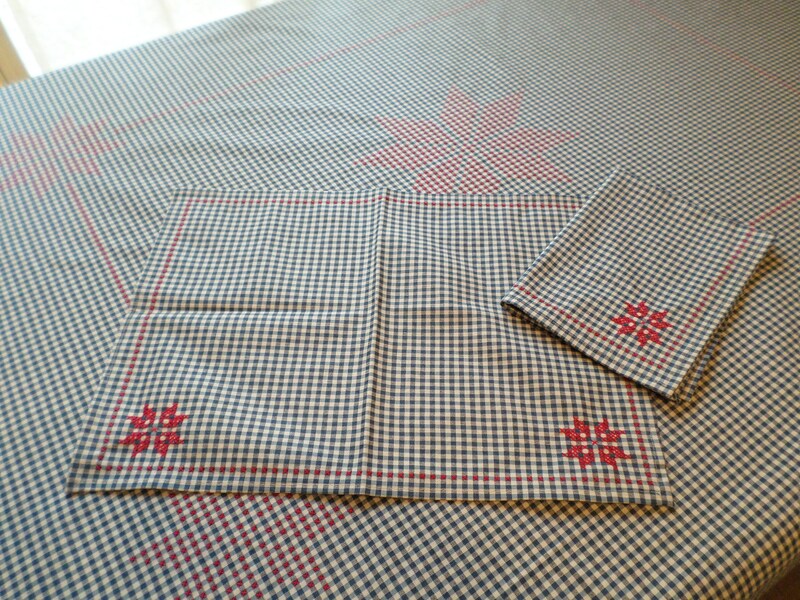 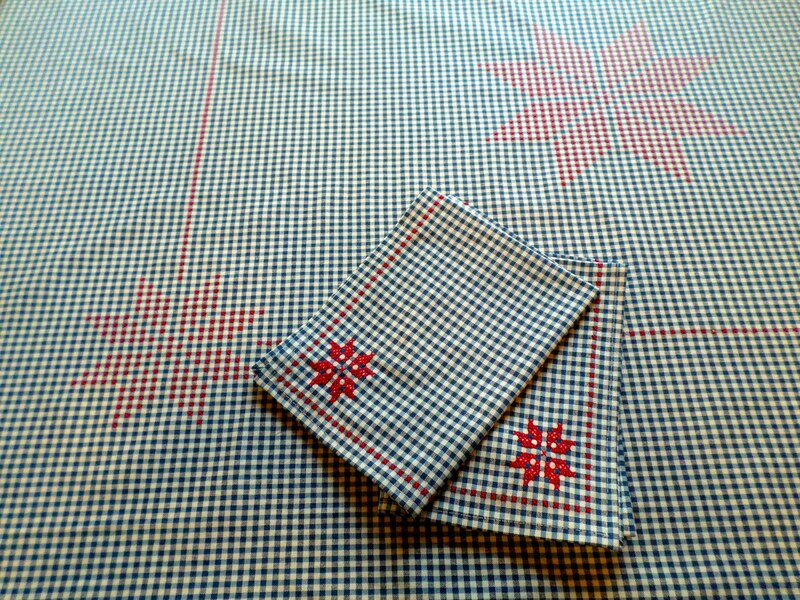 Napkins measure: 18" x 13" and can also be used as place-mats. 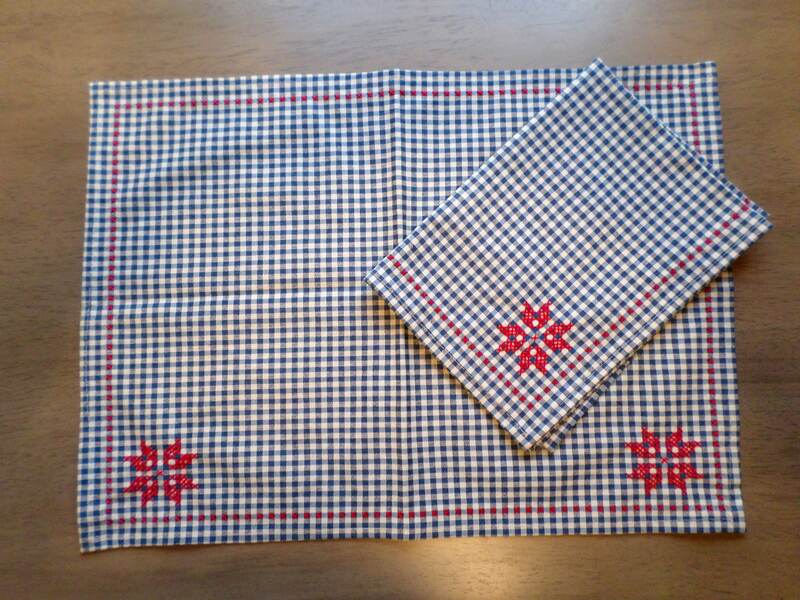 Medium-Heavyweight cotton fabric woven in a gingham check pattern with 3 different colored yarns - off-white, royal blue and navy blue. 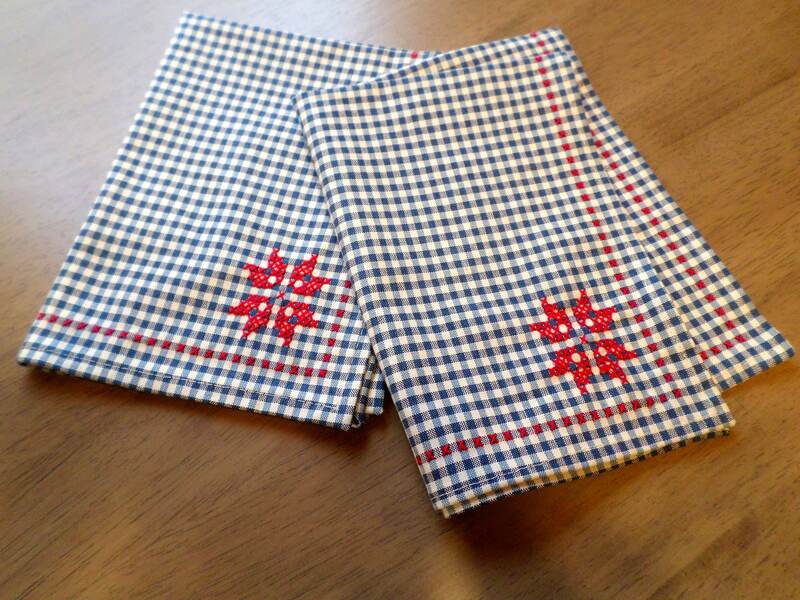 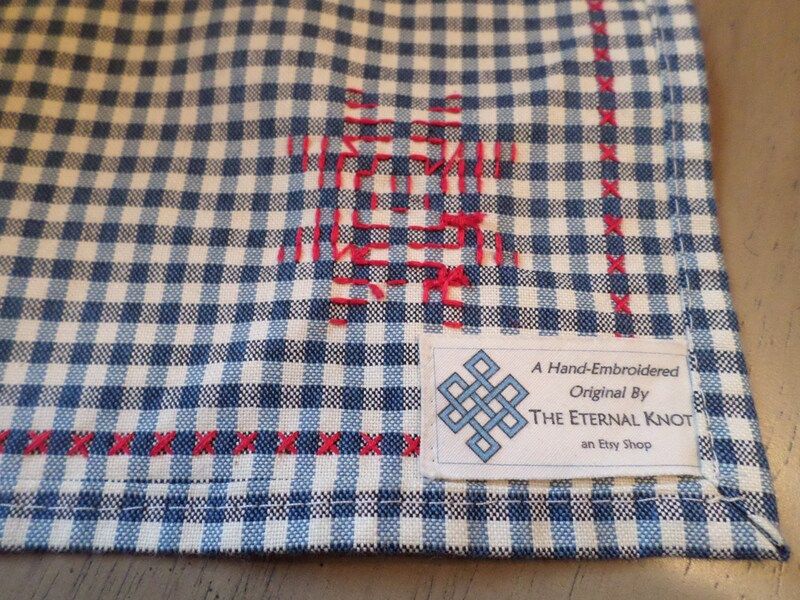 Hand-embroidered with a traditional eight-point star cross-stitch design in red cotton.